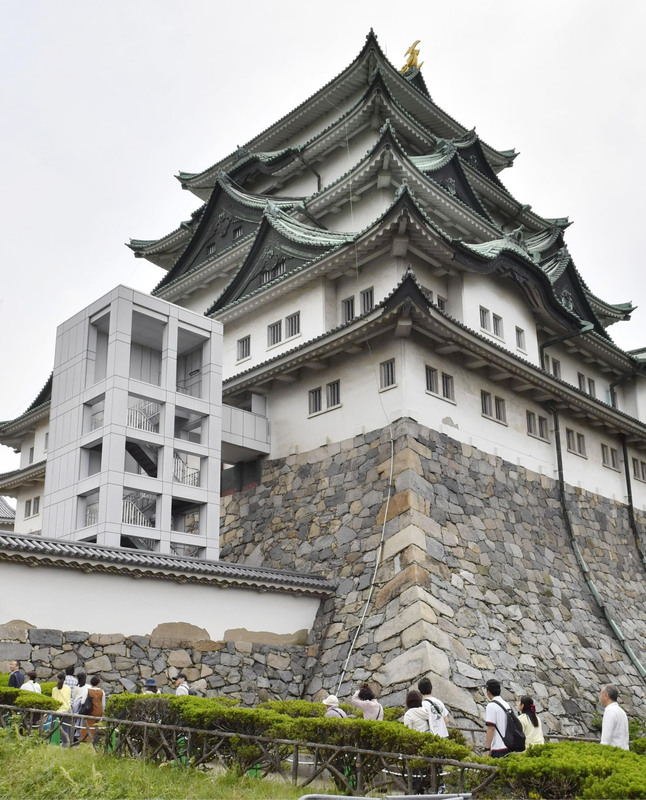 NAGOYA - A plan to restore iconic Nagoya Castle to attract more tourists is facing criticism as the mayor aims to re-create the original 17th century structure with no elevators for people with disabilities. 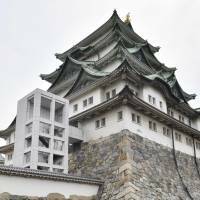 Citing problems with quake resistance, the Nagoya Municipal Government will demolish the concrete main tower and rebuild it with woodwork, which it says is more durable and similar to the version built in 1612 by the Tokugawa shogunate. The current tower has elevators, and Mayor Takashi Kawamura’s fidelity to history has triggered a backlash from the public, with citizens’ groups saying the project goes against building a barrier-free society. The city has said it plans to introduce an alternative to elevators using “new technologies” but hasn’t stated what this means. Re-creating the original wooden structure was among Kawamura’s campaign promises when he won a fourth term last year. He says it’s possible because historic documents, including detailed survey maps of the castle buildings, still exist. The elevator issue emerged late last year, but the project had been already plagued with other issues, including ballooning costs. The price tag was initially projected at no more than ¥40 billion, but that was raised to ¥50 billion in 2016. The city has also pushed back the schedule for completion from 2020 to 2022. The main tower, or keep, which Japanese call the tenshu, was designated as a national treasure in 1930 along with affiliated buildings. They were destroyed by U.S. air raids in 1945. The current tenshu was built as a seven-story building with reinforced concrete in 1959. Nagoya Castle is known for the golden statues of the imaginary half-tiger, half-fish creature adorning the roof of the tenshu. It was a major tourism draw until the city closed the tower this month for the renovation. A local group representing people with disabilities criticized the municipal government last week, saying its plan not to install elevators is contrary to the philosophy of laws banning discrimination against the disabled. The group, Aichi Disability Forum, has also demanded that the Cultural Affairs Agency not approve the city’s plan, which the group says could violate human rights. The agency has oversight on national historic sites. Yoshihiro Senda, a castle archaeologist and professor at Nara University, said that even if the wooden tenshu is rebuilt without elevators, there will be countless other features that are historically inaccurate, such as electrical wiring as well as a concrete foundation to ensure quake resistance. “If you go fully historical, then you can’t produce a wooden tenshu in the 21st century,” Senda said.